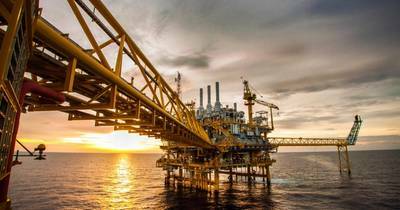 Data from KPMG’s 2018 Oil and Gas CEO Outlook, released Oct. 10, reveals that globally, almost all oil and gas CEOs believe new technology creates opportunities. Eighty-five percent are piloting or have already implemented Artificial Intelligence (AI). "Technology is disrupting the status quo in the oil and gas industry. AI and robotic solutions can help us create models that will predict behavior or outcomes more accurately, like improving rig safety, dispatching crews faster, and identifying systems failures even before they arise. This level of predictability can have a profound impact on our industry, said Regina Mayor, Global Sector Head, Energy and Natural Resources, KPMG. When asked about the biggest long-term benefits of AI, 46 percent of CEOs indicate acceleration of revenue growth, 39 percent indicate increased agility as an organization, and 39 percent point to improved risk management, all within a three-year time frame. Further, they indicate high levels of confidence in their organizations' digital transformation programs, AI systems and robotic process automation. Further, 58 percent of O&G CEOs feel AI and robotics technologies will create more jobs than they eliminate. In fact, 93 percent of CEOs expect an increase in industry-wide headcount over the next three years. As oil prices remain elevated, industry confidence is up and CEOs are setting their sights on growth opportunities, with 85 percent very confident or confident on industry growth, and 88 percent very confident or confident on company growth prospects. As part of their growth strategies, 83 percent of O&G CEOs anticipate a moderate to high appetite for M&A activity over the next three years, largely driven by the need to reduce costs through synergies/economies of scale; a speedy transformation of business models; increased market share; and low interest rates. "The higher price of oil is playing a significant role in driving a more positive sentiment across the industry," said Mayor. "Executives are really honing in on ways they can improve internal efficiencies through strategic M&A moves and the use of robotics, AI and other means of digitalization across the industry." Despite a rosy outlook, there are still concerns and threats to achieving growth. Among the biggest threats to, 23 percent of CEOs point to emerging/disruptive technology risk, 20 percent say environmental and climate change risks, and 18 percent point to a return to territorialism are most concerning.